Enthralling millions worldwide with his acclaimed textural guitar work-as well as his knack for writing catchy riffs and hooks-U2 guitarist, The Edge, relies on his trusty Strat guitar to sculpt his unique sound. 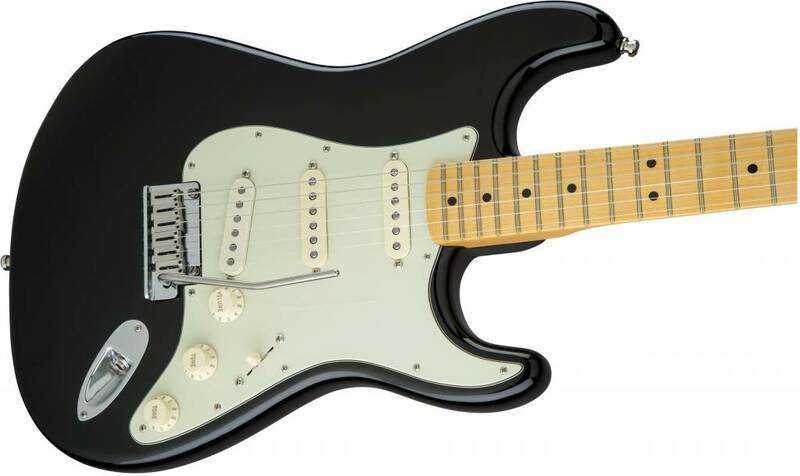 Designed in close collaboration with Fender, The Edge Strat is his new constant companion, replacing his favored vintage Fender instruments onstage in arenas around the world. 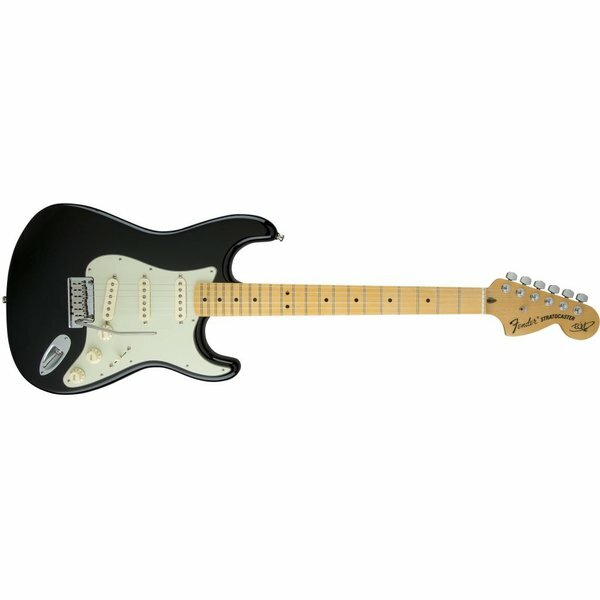 An innovatively supercharged instrument, the Edge Strat is engineered for top-notch performance with versatile tone and effortless playing feel. A pair of special Custom Shop Fat 50s single-coil pickups with flat pole pieces for personalized string response sits in the neck and middle positions, cranking out versatile tone with enhanced bass response. 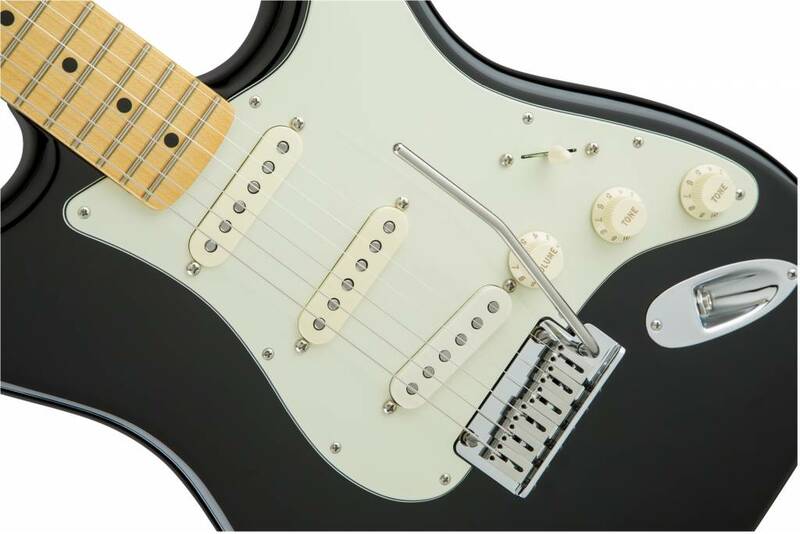 A powerful DiMarzio FS-1 pickup inhabits the bridge position for added tonal balance, smoothing out the guitar's response and boosting the output for arena-sized sound with clear articulation. 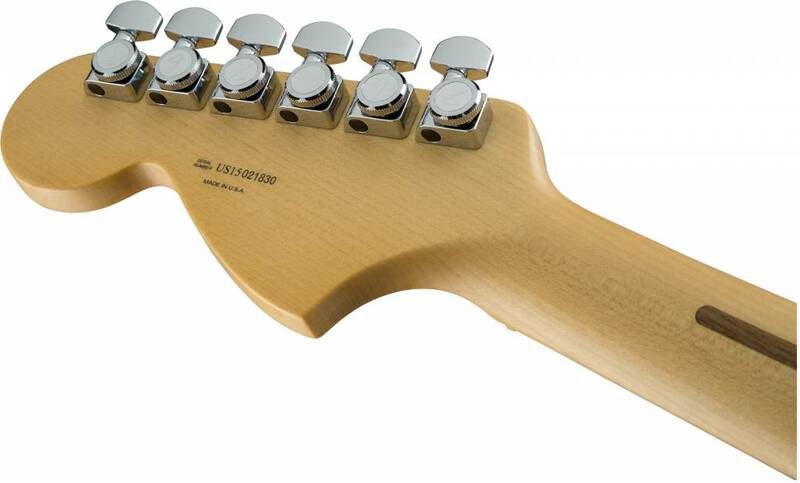 The strong and stable upgraded quartersawn maple neck generates a slightly brighter tone while the sleek contoured neck heel and comfortable 9.5" fingerboard are ideal for most playing styles, supporting low end chords and riffing along with chiming upper-register chords and leads with ease. Enjoy increased sustain from the modern two-point synchronized tremolo bridge with pop-in arm and fully adjustable block saddles for pinpoint intonation accuracy. 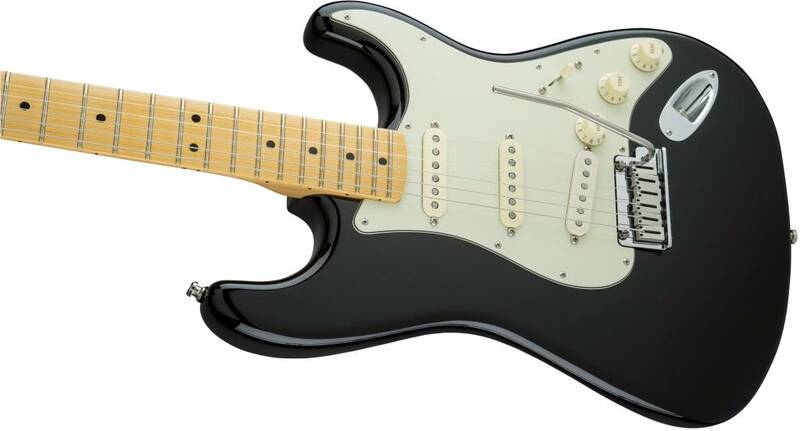 An elegant guitar for a refined player, this guitar combines the classic curves, appointments and effortless playability of classic Strat guitars with modern enhancements and materials to create a player's dream instrument-a flexible music machine with timeless Fender style and authentic sound. 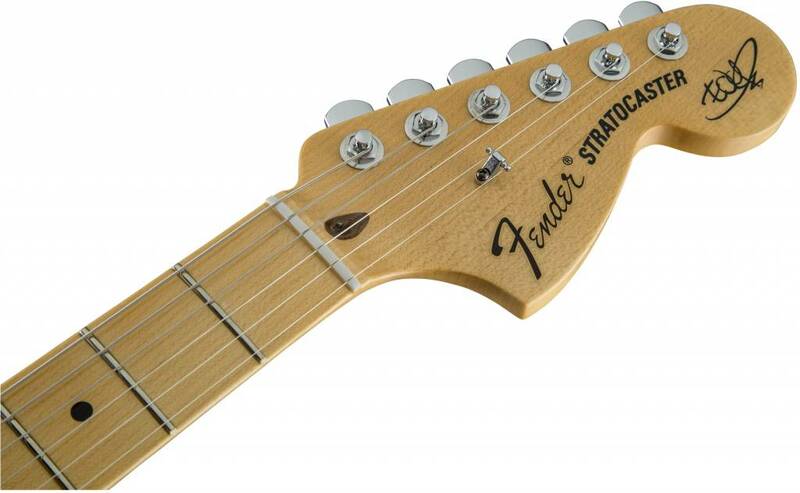 Don't delay, add The Edge Strat to your sonic toolbox. Includes a special black and gray tweed hardshell case.